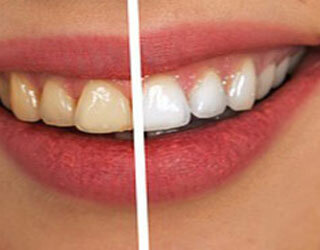 Many people would like whiter teeth, but patients are sometimes frustrated by drugstore whitening solutions. These products often do not deliver the results they claim. If you have teeth that have been darkened or yellowed by coffee, tea, tobacco, wine, or just daily eating, you may need to turn to a professional answer from your dentist. Dr. Shin offers the KöR whitening system. This gel-based product can whiten your teeth by several shades, and it uses no lights, lamp, or heat. You can take KöR home with you to use at your convenience. Notably, few patients report any pain, discomfort, or sensitivity with the KöR system. Of course, Dr. Shin will be available to answer your questions and offer instruction with KöR. If you are serious about getting whiter teeth, it’s time to use a professional grade product only available to dentists.